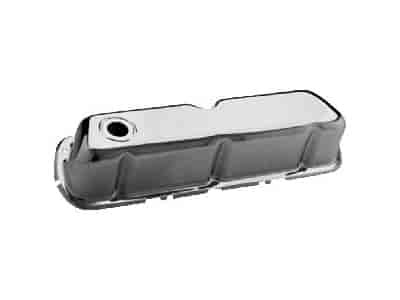 Proform Chrome Plated Stamped Steel Valve Covers help dress up any engine compartment. The stamped steel design features a precise fit with a positive seal so these valve covers will not leak. The triple plated chrome plated finish adds a visual appeal and complements any chrome accessorized engine. Available for Chrylser, Chevy, Ford and Pontiac! Does Proform 66724 fit your vehicle?